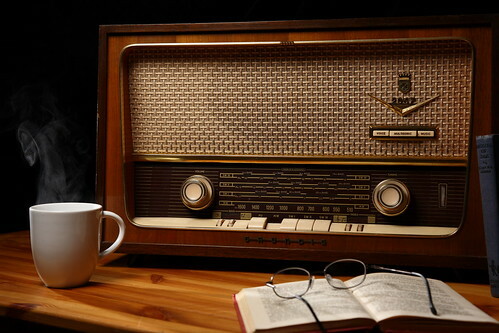 The days when the family huddled around the wireless maybe long gone but PURE are putting the social back in radio. Launching at the end of November the PURE Sensia is an internet-connected digital audio system which includes an iPhone stylee touchscreen interface providing a unique listening experience. Yet what I am really intrigued by is that the Sensia comes with integrated applications including Twitter, Facebook and news feeds – with more to follow when the Sensia Software Development Kit is released to third parties. With the development of such products social media is making further inroads into all aspects of our daily lives. I am not sure if he or I would be most surprised that I can now roll over each morning and be woken by the wit and wisdom of @stephenfry. So whatever next with all this convergence? Tweeting toasters? Internet irons? Facebook fridges? Image c/o Ian Hayhurst licensed under Creative Commons.